The British Society for Rheumatology are the leading UK specialist medical society for rheumatology and musculoskeletal care professionals. They provide education, create national guidelines, standards, and collaborate with partners to deliver change across the wider healthcare landscape. Their structure includes trustee established committees, special interest groups, and regional support groups, so volunteers can get involved at a number of levels. They registered to attend Project Management Day of Service when they became aware of it through a contact. “The project we wanted to talk about is the biggest project ever attempted by the organisation. 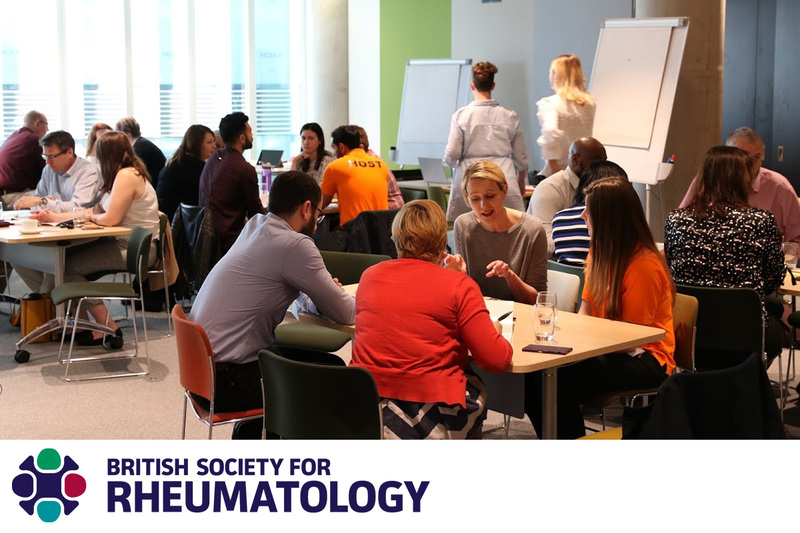 It is a national audit of rheumatology services in UK, and even though we are quite far down the road, we wanted to get some support around risk management and Stakeholder engagement (help and ideas on how to communicate across all involved parties). With our consultant we covered the principles of project management as well, so we would definitely attend the next event; and maybe send some of those that are running projects to get the most value. You can join or support the British Society for Rheumatology by visiting their website.